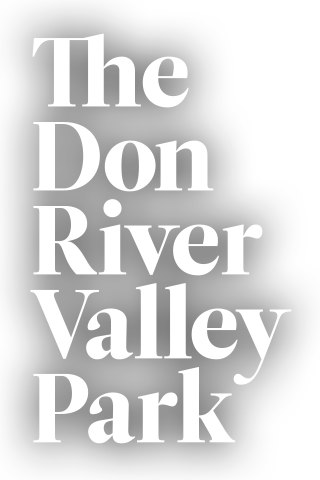 The Don River Valley Park is the centrepiece of Toronto’s rapidly growing downtown: a 200-hectare park spanning Pottery Road to Corktown Common. An outlet for citizens and a destination for visitors, the Park connects neighbourhoods and new developments to valuable parkland. So take a walk beside the river’s edge for a moment of solitude, bike or walk the trails, or experience our art trail. Get ready to see the Valley in a new and moving way! The Don River Valley Park is vast and has so much to offer Toronto’s communities, but how do you get here? View the Park Map to discover the connecting trails, access points and more. Learn about art in the Don River Valley Park. Discover how artists reflect the history, ecology and industrial impact of the Valley in their works.